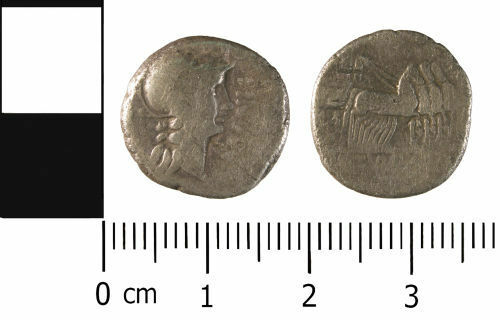 A silver Republican denarius issued by L. Manlius and dating to 82 BC (Reece period 1). L SVLLA IMP reverse depicting Triumphator crowned by Victory in quadriga right. Mint moving with Sulla. RRC p. 386, no. 5. Republican moneyer: Manlius Torquatus, L.